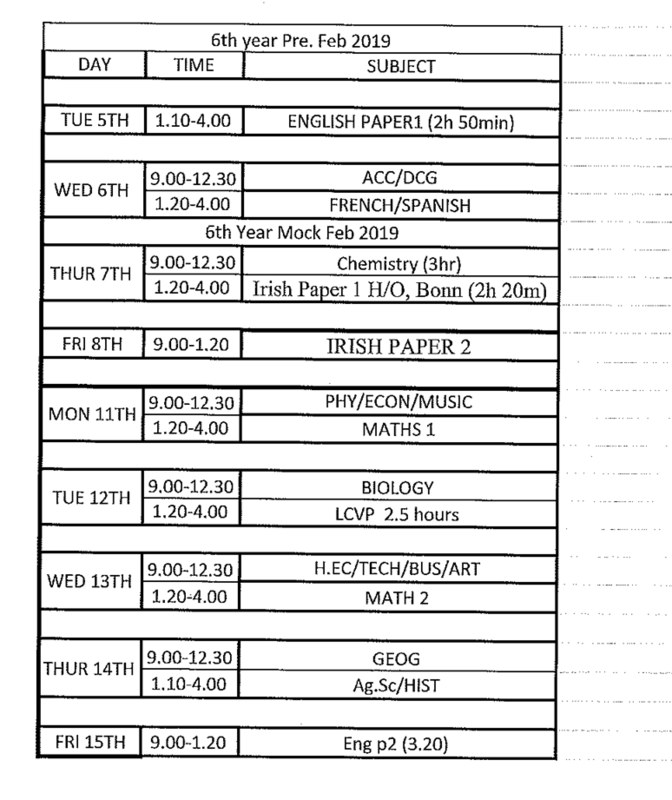 Please find timetables for Mocks below. Mocks starting on 5th February for 6th years and on 6th February for 3rd years. Finishing on 15th February. Good luck to all students!